Yum–Enjoy! Happy Easter/April Fool’s/Full Moon, Beth! Amazing! I have the same recipe. Tip: I add jelly beans for color and chopped up York Peppermint Patties for that extra flavor zing. 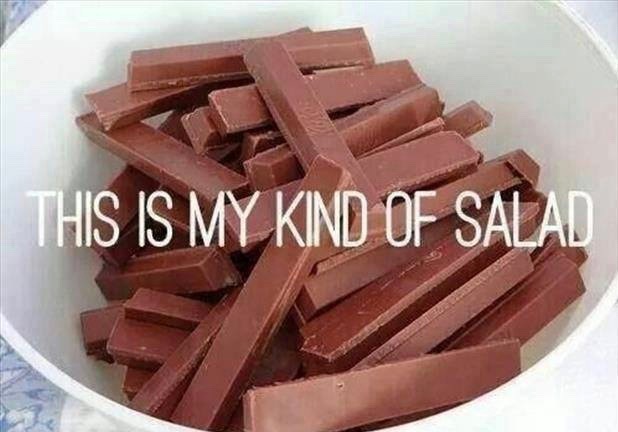 Enjoy the Kit Kat salad, Beth. And bask in your Wolverines’ victory, too. Great game! Gosh, I think I might give this recipe a try!!! Toss in a few Cadbury eggs for some protein and good to go! Food for the soul, definitely! Love your recipes, Beth. Oh perfect! Finally a recipe I can follow ! 😂 I’ll have that salad any day! Hah. Definitely up my alley for a quick side dish! this goes with everything and you cannot go wrong!